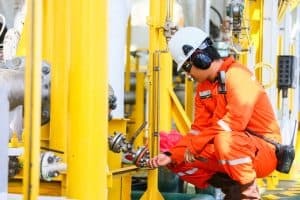 Oil and Gas Industry Safety Exemptions Put Workers at More Risk | Larson Law Firm P.C. Under federal law, workers are entitled to a safe workplace free of known health and safety hazards, according to the Occupational Safety and Health Administration (OSHA). Workers have rights, including the right to speak up about safety concerns without fear of retaliation, to be trained in a language you can understand, and to be provided with safety gear to protect you as you work. Instead, oil and gas drilling operations are governed by OSHA’s General Duty Clause, which also governs the safety of office workers. When a tragedy occurs such as the explosion in Oklahoma earlier this year, it can be challenging for OSHA inspectors to cite violations under general duty. The Bakken Shale is one of the most dangerous places in the U.S. for workers. An article in Energy & Environment News reports that North Dakota had the highest worker fatality rate in the nation in 2012 (17.7 per 100,000) – five times the national average. In the oil and gas production sector, that rate was 104 per 100,000 workers – 30 times the national average. As attorneys, we have worked with oil field workers who sustained serious injuries in the patch. We’ve also worked with their families, when those workers paid the ultimate price. We do not want the industry to go away; we just want better protections in place for the men and women who work in the field. After all this time, it seems incredible that no additional safety regulations have been placed on companies, and that the design and creation of better safety equipment is not a top priority. Oilfields and gas extraction is dangerous work. If you get hurt on the job, we are here to help. At Larson Law Firm, P.C., we want to help your family when another party’s actions have led to injury or loss in the workplace. Take legal action now and reach out to a North Dakota oil field accident attorney at 701-484-HURT, or fill out our contact form.